Choice Foundation vs. KIPP: Who will get to take over management of Dunbar Elementary? Landry claims Hollygrove residents prefer Choice Foundation; BESE meets at Xavier to discuss the issue May 28. Electives such as physical education, art and music are now worth a third of a course credit, not a full credit. Choice Foundation board hears predictions of violence at one location. Choice Foundation board members concerned about the effects of OneApp system. The board moved its meeting up a day without notifying the public. Also, three board members will be leaving. Cost estimates for the renovations spiraled from $625,000 to now $1.6 million, leading Choice leaders to pursue a lawsuit. The board originally allotted $500,000 for the construction project, but estimates later exceeded $1 million. Officials at Lafayette Academy charter school, whose academic scores have more than doubled in the past five years, acknowledged investigating a cheating allegation on the state’s annual standardized test earlier this year, but decided it was unsubstantiated. It’s hard to know what happened, however, because the school board has refused to provide details. At their monthly board meeting, Oct. 3, directors of the Choice Foundation discussed pros and cons of accepting governance by the Orleans Parish School Board and whether to launch a charter school in Jefferson Parish. Several more independent charter school leaders soon will find themselves facing a question that several others, including Sophie B. Wright Charter School’s principal, have been grappling with for more than a year: Should we move back under the wing of the Orleans Parish School Board? On Wednesday afternoon, in a corner of the East New Orleans Public Library, the Treme Charter School Association held their final board meeting, ending a five-year struggle by the community group to upgrade a troubled elementary school. “Looking back we needed more money and more time,” said former board president Rosalyn Smith. As president of the Tremé Charter School Association’s board of directors, Roslyn Smith is used to overseeing the faculty and staff of McDonogh 42, an open enrollment, public charter school educating students from Pre-Kindergarten through eighth grade with almost 450 students an enrollment in 2011-2012 of 527 students. But as of July 1, she found herself in charge of only a skeleton staff managing the handover of the school to another charter school management organization, the Choice Foundation. The Treme Charter School Association, which did not have its charter to manage McDonogh 42 renewed for the 2012-2013 school year, turned over control of the school to the Choice Foundation on June 30. Additionally, the organization failed to reach a quorum in its June 30 meeting. 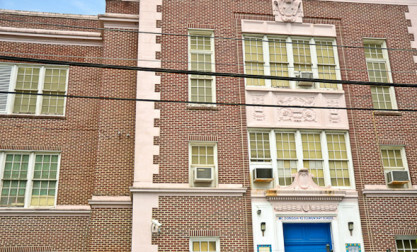 The Treme Charter School Association, which up through the 2011-2012 school year ran the McDonogh 42 Elementary School, announced June 20, 2012 that it will not hold its July board meeting. It is unclear if the association will continue to function now that Choice Foundation plans to take over control of McDonogh 42. Choice Foundation, which runs the Esperanza Charter, Lafayette Academy, and McDonogh 42 schools, held its 2012-2013 budget hearing in addition to its monthly board meeting on May 30. The initial 2012-2013 budget is $18,562,980, a 41 percent increase from last year. At its May meeting, the board that now runs McDonogh 42 Elementary Charter School ratified the termination of 45 of the closing charter’s employees, voting to extend employment through the summer months for only eight employees. The charter operator that oversees the school, the Treme Charter School Association, did not have its charter renewed for the 2012-2013 school year. McDonogh 42 Elementary Charter School, the Choice Foundation’s soon-to-be acquired charter, will remain at its current location for the 2012-2013 school year, the Choice Foundation’s board announced at a second May gathering. McDonogh will be under the control of its current charter operator, the Treme Charter School Association, until July. Construction of four new schoolhouses should be completed as classes resume in August, education officials announced Wednesday night, but modular buildings are ready just in case. Capital projects, including ground-up school construction, highlighted Wednesday night’s meeting in New Orleans of the state Board of Elementary and Secondary Education. North Tonti Street, New Orleans, Louisiana 70119. The items to be discussed, considered, or upon which formal action may be taken are as listed below. Look over the proposed numbers here. Review TCSA’s board meeting agenda here. Only three of eight members showed up for the Treme Charter School Association’s monthly board meeting, April 28. After waiting about an hour for other members to appear, the board, which runs McDonogh 42 Elementary Charter School cancelled the meeting for lack of a quorum. Choice Foundation, the charter management organization set to take over McDonogh 42, has asked the Recovery School District to delay a scheduled move to a new campus, from January 2013 to June 2013. Fran Trujillo, McDonogh 42’s principal-to-be, said relocating the school four months after Choice’s takeover would be disruptive. How to assimilate Esperanza Charter’s growing number of non-English-speaking students was a focus of Choice Foundation’s February board meeting. . The state Department of Education today released the list of New Orleans schools eligible to participate in its voucher program. The program, called the Scholarships for Educational Excellence Program, has for the past three years offered low-income students from low-performing public schools the chance to attend the private school of their choice, with the state paying the bill for tuition and fees. Choice Foundation, operators of Lafayette Academy and Esperanza Charter School, has been approved to charter two more schools, McDonogh 42 and a yet to be named school in Jefferson Parish, the Choice board of directors said at their monthly meeting, Feb.1. Board President James Huger said that while the foundation has been given the “all clear” to take over McDonogh 42, there’s a slim chance the deal might collapse if the school’s current board sues the state Board of Elementary & Secondary Education, as threatened. Despite a vow by a failed charter operator to fight the state’s revocation of its contract to run McDonogh No. 42, , an attitude of cordiality prevailed at tonight’s open-house to introduce parents to the new charter operator. The Treme Charter School Association has voted to increase supplemental services for targeted students in preparation for spring testing. The board, which governs McDonogh 42 Elementary Charter School, met Jan. The Treme Charter School Association, which governs McDonogh 42 Elementary, met Dec. 17 and decided to fight the loss of their charter. A rushed board overseeing McDonogh 42 Elementary Charter almost skipped over an agenda item regarding their teachers pension plan as a matter for discussion, and then passed five action items in one vote as the Treme Charter School Association Board of Directors met Nov. 19. The Treme Charter School Association, the governing board of McDonogh 42 Elementary Charter School, met Oct. 27. The Treme Charter School Association, the governing board of McDonogh 42 Elementary Charter School, met Sept. 24.